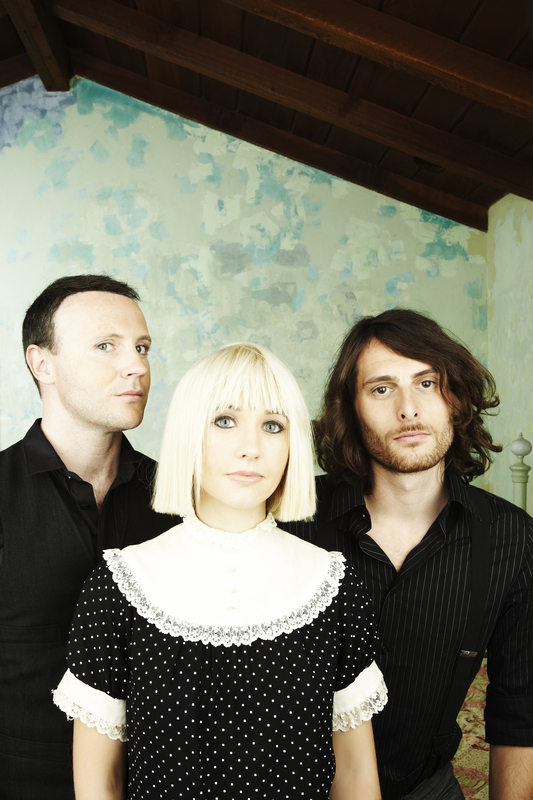 Rock acts have been sorely absent from the music charts of late, and North Wales band the Joy Formidable sounds worthy of a place at the table. Their full length debut, The Big Roar, is a nineties throwback, but in more of a refreshing homage rather than a carbon copy kind of way. The Big Roar mixes fuzzy guitar riffs and heavy, heart thumping drum beats with layers of deliberate distortion. Songs like “A Heavy Abacus,” “Austere” and “The Greatest Light is the Greatest Shade” have infiltrated indie rock airwaves, standing out with their pop/rock hybrid of hooks to the tune of singer Ritzy Bryan’s ethereal yet driving voice. Simply put: they are a big deliciously blurry sound of grungey rock goodness, and they are breathing life into a genre that has been stale for quite some time. Same goes for the other members of the band. Dafydd says singer/guitarist Bryan was “spoiled for choice” by her mom and dad’s massive record collection. At an early age, she was exposed to Bruce Springsteen, Elvis Costello and other great songwriters like Van Morrison and Bob Dylan. “I’m sure that had a big effect on our songs being very lyrically driven,” he says. Drummer Matt Thomas’ taste is also varied, spanning the spectrum from jazz to metal with some Frank Zappa in between. And the Joy Formidable deliver. These varied musical tastes come together in a post-grunge sound that has traces of the Pixies, Sonic Youth, Garbage and Smashing Pumpkins. Bryan only plunges the bands’ sounded deeper into the 90s, drawing parallels to grunge girls PJ Harvey and Louise Post and Nina Gordon of Veruca Salt. Even Bryan’s look channels Courtney Love with her updated baby doll dresses, albeit Bryan looks the wholesome, impish anti-thesis to Love’s heroin chic hot mess. So it is easy to see why Dave Grohl tapped the band to open for the Foo Fighters this fall, alongside Social Distortion. “It’s a kind of nice story because it seemed to come around quite naturally,” Dafydd says. While driving one day, Grohl heard the band’s “Whirring” but didn’t catch the name of the band. 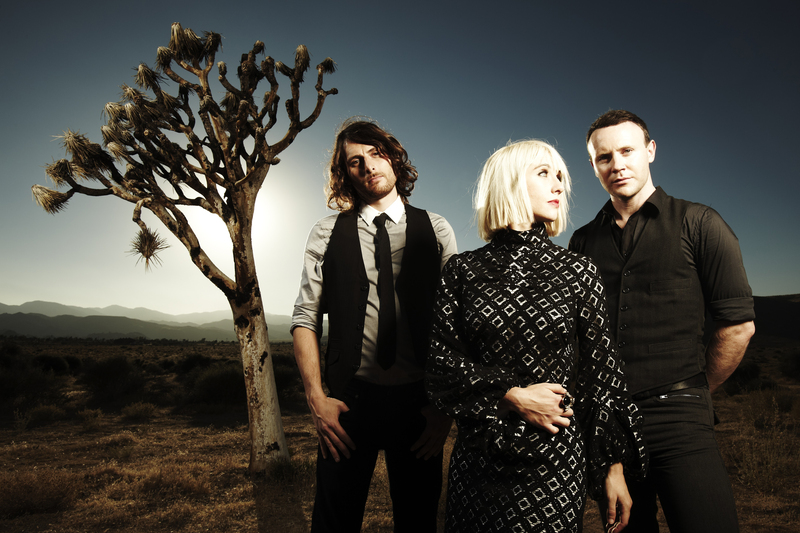 Trying to remember the tune in his head all the way home, Grohl figured it out, tracked them down, and since then, the Joy Formidable has played several shows with the Foos, including a secret show at Lollapalooza and some dates in the UK. In addition to being childhood friends, Bryan and Dafydd are also a couple. Dafydd says the only challenge for them in that respect is to find alone time because the band and the music is so all-consuming but says that was a choice the two made early on. “We’re quite lucky in that, first and foremost, the music is what brought us together,” he says. “We had that before we even became a couple.” If anything, he says it adds to the natural dynamic and chemistry necessary in a songwriting partnership. As with everything else, Bryan and Dafydd see it as a blessing that they get to travel this journey together. Dafydd, Bryan and Thomas have been travelling the festival circuit for a large part of the last year, and the rest of 2011 includes another month or so of festivals before a headlining tour in the UK. Then they’re back in the US for the Foo Fighters’ dates and even more shows follow after that. Dafydd wouldn’t have it any other way, in fact, he revels in the travel and touring to help generate the spark of creativity. The band arrives in Philadelphia Friday, September 23 for the Popped! Music Festival at FDR Park and then again for their date with the Foo Fighters at the Wells Fargo Center on Thursday, November 10. 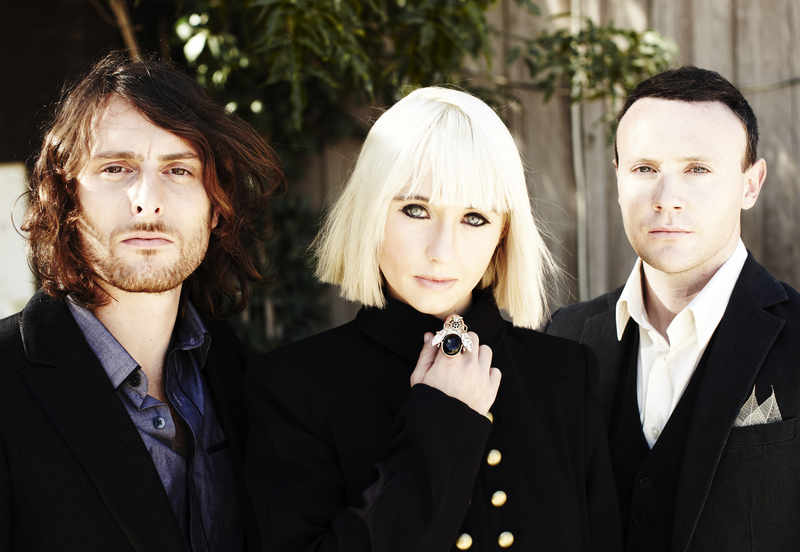 They’ve been to the states several times, staying mostly along the east and west coastlines, and Dafydd knows they’ve got some ground to cover in between, “There’s still some nooks and crannies, but we’ll get there.” No doubt about that: the Joy Formidable are well on their way.